Here are our Standard Models 19-16 to get you started. You may Download Pdf artwork (select link for expanded view in your browser, which you are welcome to right-click & save to desktop). 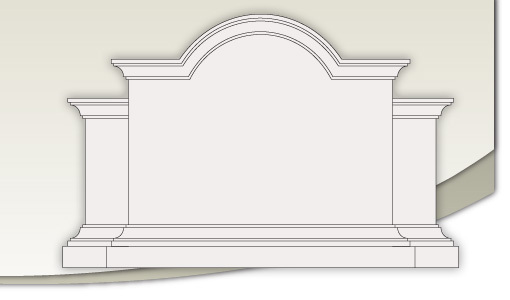 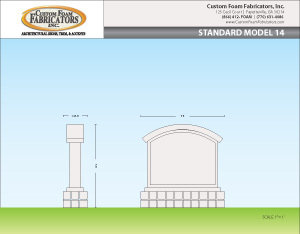 Use the navigation icons at the bottom to preview our other Standard Monument Models. 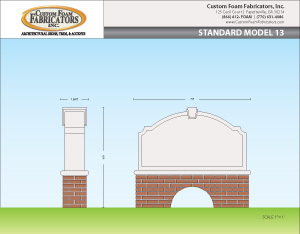 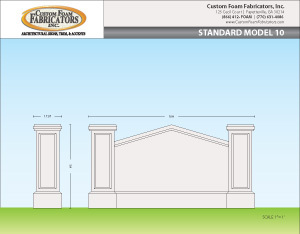 MODEL 09 - Size: 10' x 5' x 22.5" MODEL 10 - Size: 10' x 5' x 21"
MODEL 11 - Size: 10' x 5' x 16" MODEL 12 - Size: 6' x 8' x 12"
MODEL 13 - Size: 7' x 6' x 20.5" MODEL 14 - Size: 5' x 5' x 18"
MODEL 15 - Size: 8' x 4' x 12" MODEL 16 - Size: 10' x 5' x 20"